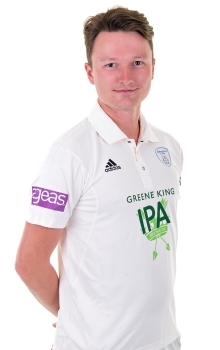 Aneurin Donald is a right-handed top-order batsman and arrived at Hampshire from Glamorgan on an initial loan for the remainder of the 2018 season, whilst also commiting to a two-year deal from 2019. 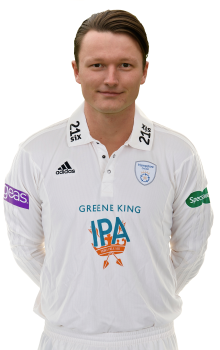 The Swansea-born batsman featured in 39 First Class matches for the Welsh county, with a highest score of 234 from only 136 balls – equalling the fastest double-century in First-Class cricket – a particular highlight, in his total of 2,065 runs at an average of 30.68. The 21-year-old is considered a destructive white-ball player, featuring in 23 List A fixtures and 43 T20s for Glamorgan and boasting a strike-rate of 136.09 in the shortest format. Aneurin has also featured for England U19s as a youngster, playing alongside current Hampshire teammates Brad Taylor, Mason Crane, Tom Alsop and Joe Weatherley in his 13 appearances.